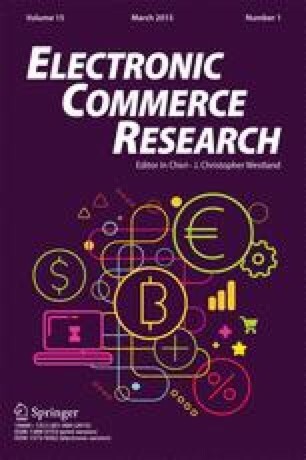 Existing e-commerce systems employ a pull model of marketing where buyers, possibly through agents, search the e-market for suppliers offering the product of their choice. In contrast, the push model where suppliers’ agents approach buyers with their products, has been relatively less investigated. Push strategies are particularly appropriate for commodities that have a short shelf-life and, therefore, an elastic demand curve, allowing suppliers to exploit unexpected supply. The speed and low cost of e-commerce makes it particularly suited to the push paradigm. In this paper, we consider time-limited goods in a supplier driven marketplace that employs the push model of marketing. When constrained by a strict deadline to sell the good, the supplier uses a mobile sales agent that visits every buyer and estimates the short run demand curve of the good. At every buyer, the sales agent also employs a heuristic technique called the Maximum Returns Algorithm to recalculate the price of the good, so that the supplier can obtain the best possible gross returns from trading with the buyers. On the other hand, when the deadline to sell is not stringent, the sales agent negotiates the exchange at a point that improves both the buyer’s utility and the supplier’s profit, as compared to the exchange point without negotiation. This research has been supported by QAD Inc. through the California Micro Program, Grants 97-122 and 98-107 and by the DARPA/ONR Grant N66001-00-1-8931. Site Sell Inc., URL: http://www.sitesell.com.